O’Brien on fire as Kilcock romp to victory. 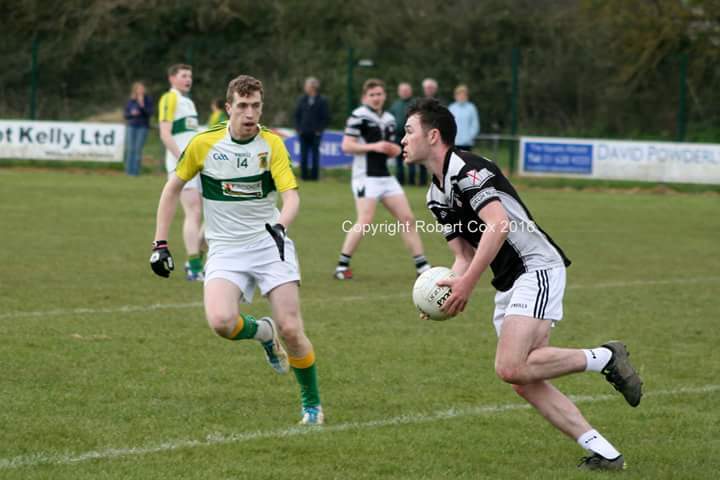 Paul O’Brien in action for Kilcock senior footballers. 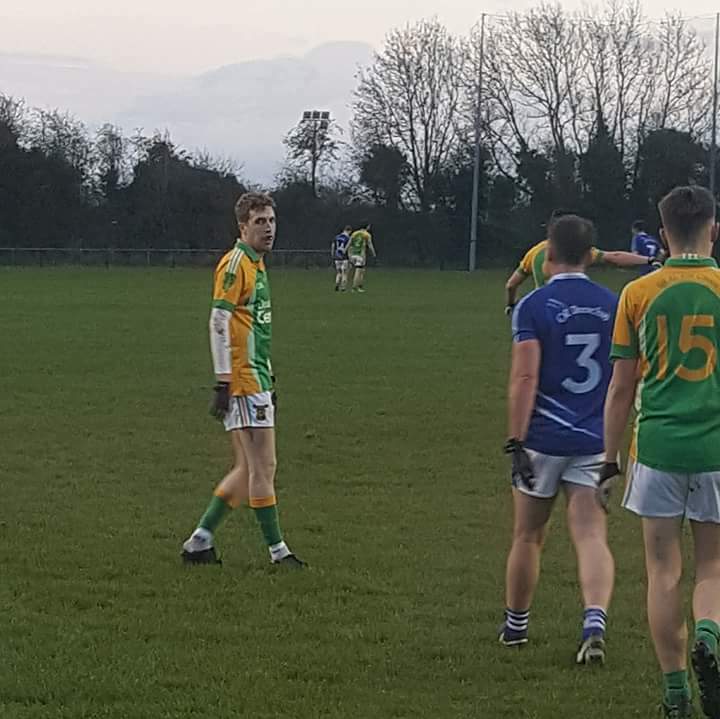 Paul O’Brien produced a scintillating display at Kilcock Gaa on Monday night to ensure that Kilcock’s 2nd team got their Senior B division one league campaign off to a winning start against Celbridge. The experienced, pacey forward hit a hat-trick of goals and also contributed two points as Padraic Carroll’s side got the better of their well fancied neighbours in their first game back in the top tier. Two of O’Brien’s goals came in the first half, the second an unstoppable effort when one on one with the Celbridge net minder. Daragh McArdle netted the third and with points from the midfield duo of Chris McCarthy and Darren Byrne (2) along with an O’Brien free, the men in green and gold lead 3-4 to 0-4 at half time. Kilcock took up where they left off upon the resumption and ended the game as a contest when debutant Conor Dewe Stokes tapped home a goal after some smart build up play from a number of his team mates including the star of the show O’Brien. Celbridge rallied somewhat and struck two goals of their own but were dealt another blow when O’Brien completed his hat-trick to land Kilcock’s fifth. 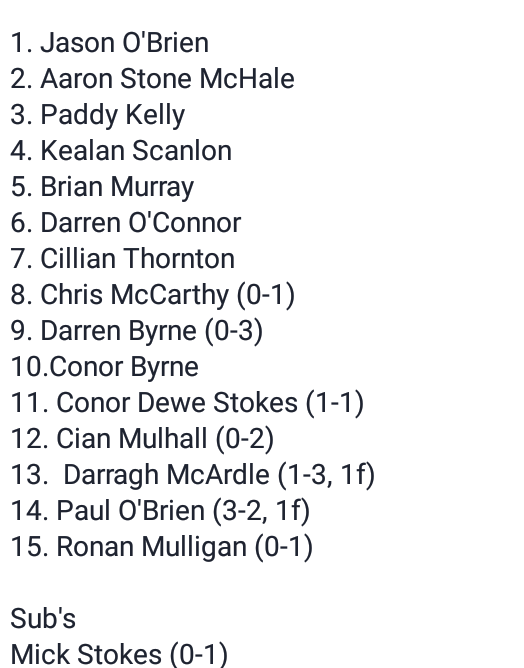 Further points from McArdle (3), Ronan Mulligan, Cian Mulhall (2), O’Brien, Byrne and substitute Michael Stokes wrapped up proceedings as Kilcock ran out eleven point winners, 5-13 to 2-11. There was an added special moment on the night when Michael Stokes came on to play alongside Conor. It’s been a long time since there was a father/son combination on the field at the same time for Kilcock. In addition it was clearly visible to see that many of the Kilcock lads were playing for their places in the upcoming SFL Div2 game at home to Johnstownbridge and there’s no doubting O’Brien will have caught Declan Gibbons’ attentions. O’Brien in action v Celbridge last night.